Any yogini, who is looking at yoga not merely as an exercise program but rather as a lifestyle, will agree that what you eat and drink truly matters. My partner Rolf is the one, who takes care of that in our home and today I like to share two dishes, he recently served to my delight. For the photo above: Three shrimps getting sunburned on a green veggie island in the middle of an orange, carrots and sweet potatoes infused ocean. 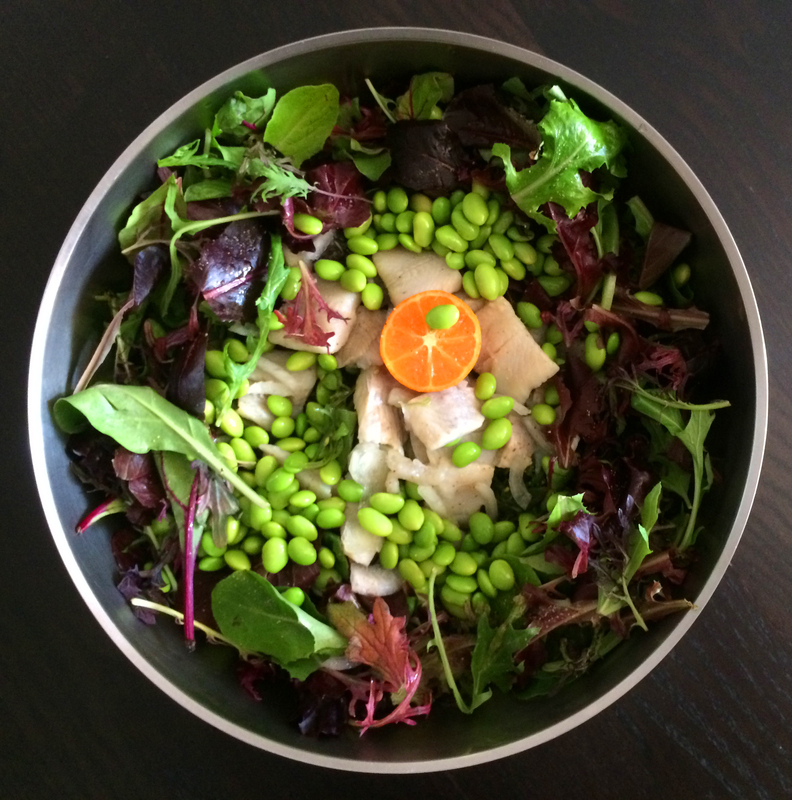 For the image below: Symphony of Atlantic Seaweeds and a selection of organic salad varieties, enriched with Wild Herring Filets, marinated in a white wine vinaigrette and joined by a decent number of organic Edamame. If anybody is interested in details of his recipes, just drop him an email at yogaretreats@help-your-health.com. I’m sure he’ll share his kitchen secrets with you. Looks awesome! You’ve got my follow. Check out my comedy blog and give it a follow if you like it!